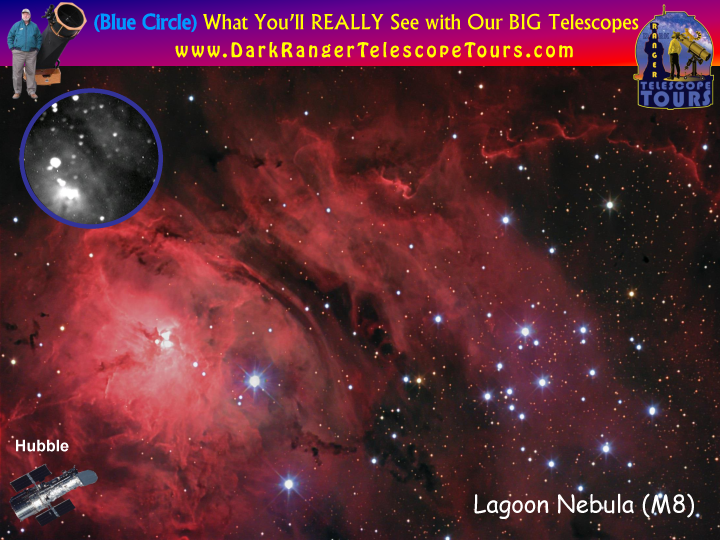 Photography reveals the night sky and objects in a way that no human eye, regardless of telescope size, can ever see. 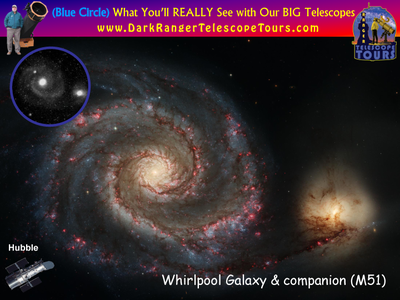 So instead of building up your hopes, (and ultimately your disappointment) with unrealistic photography of the Universe, we present you with comparative images. 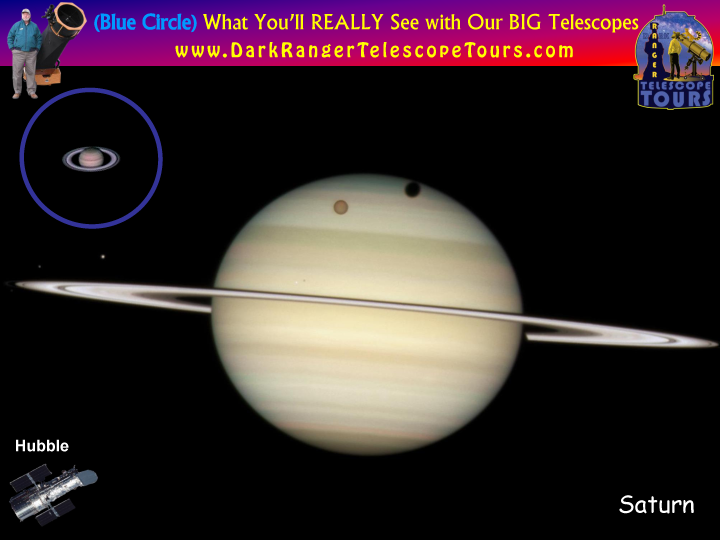 In the photo albums below you'll see our solar system and the deep space objects beyond as photographed by the Hubble Space Telescope and other satellites, compared with views of the same (images in the blue circles), as you are really going to see through our BIG telescopes naturally enhanced by the Bryce Canyon region's world-class night sky. 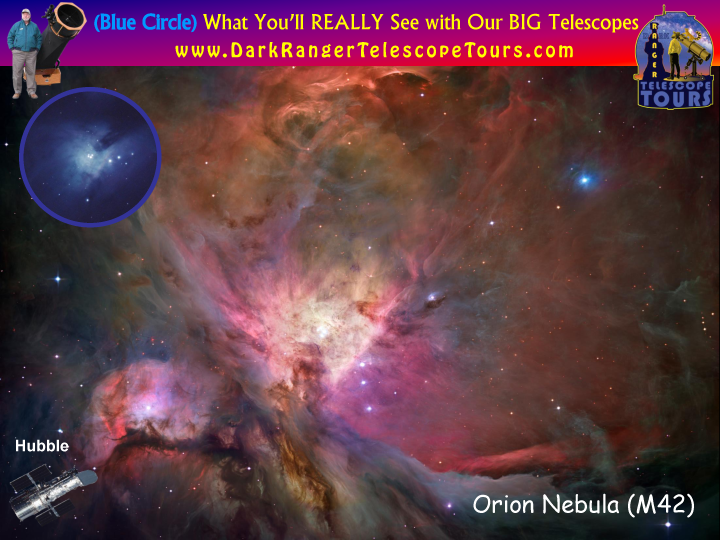 No photo gallery can convey the surprising strong emotions one feels when using a BIG telescope under HUGELY dark sky -- but the "Canvas of the Cosmos" comes close. 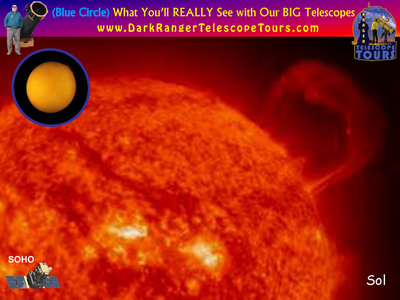 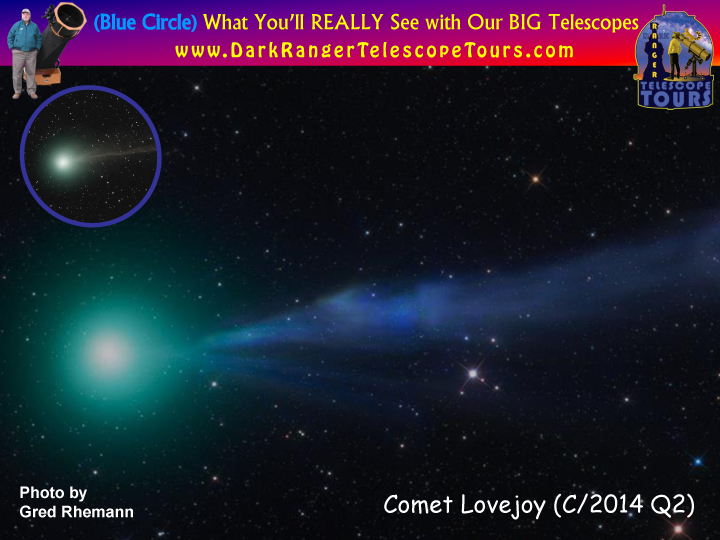 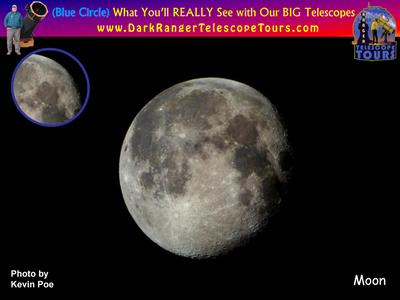 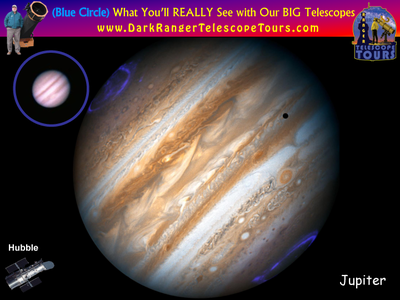 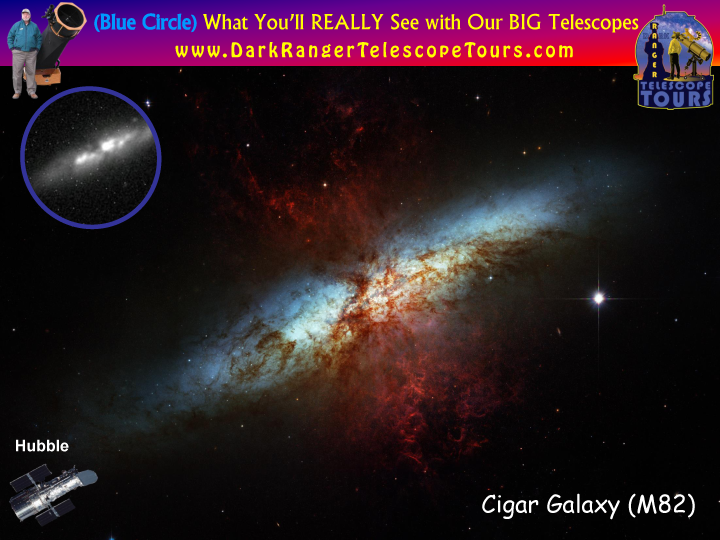 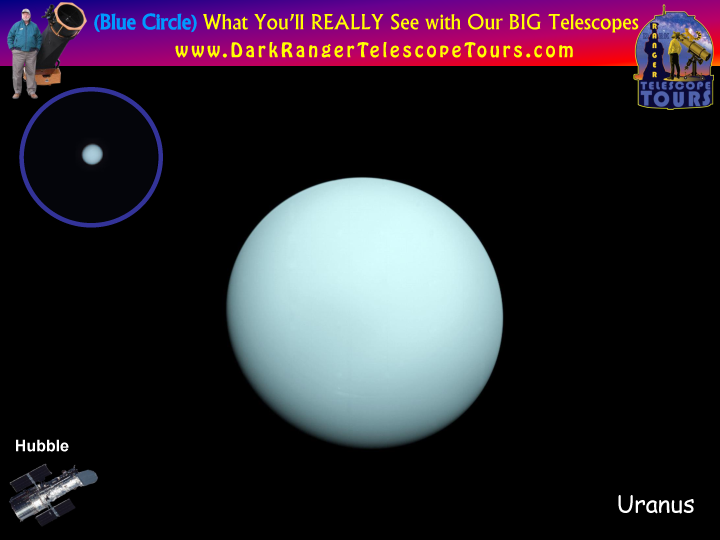 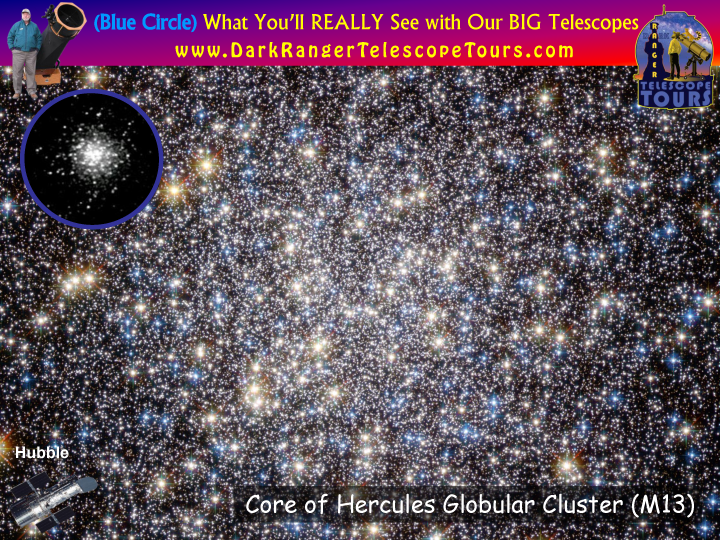 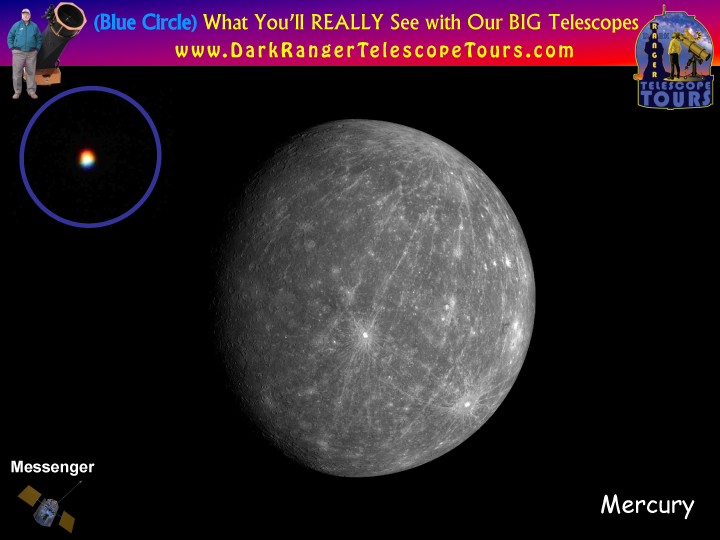 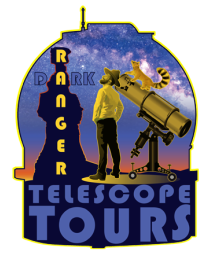 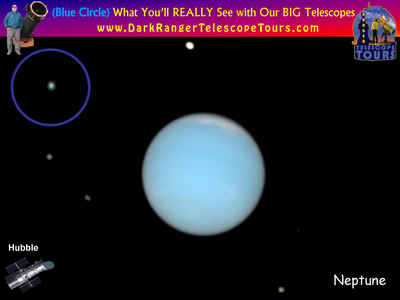 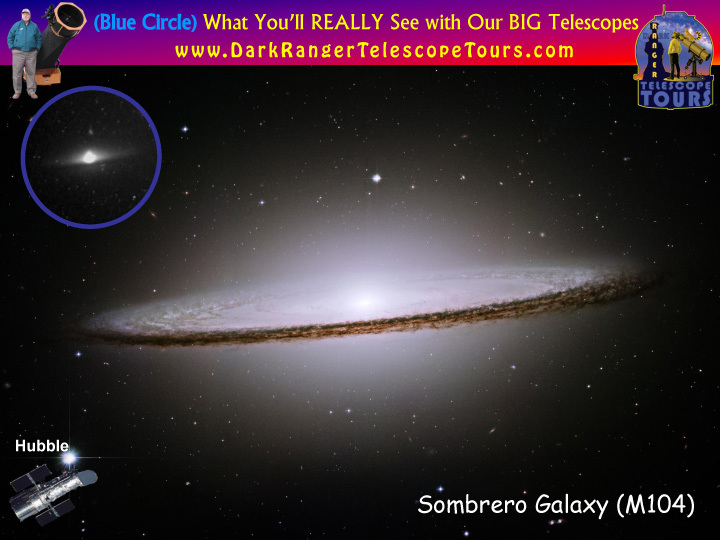 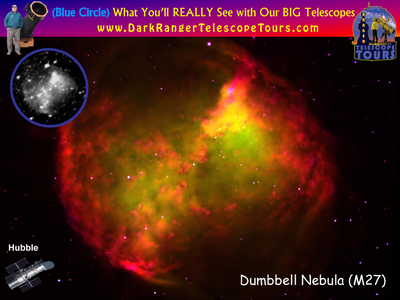 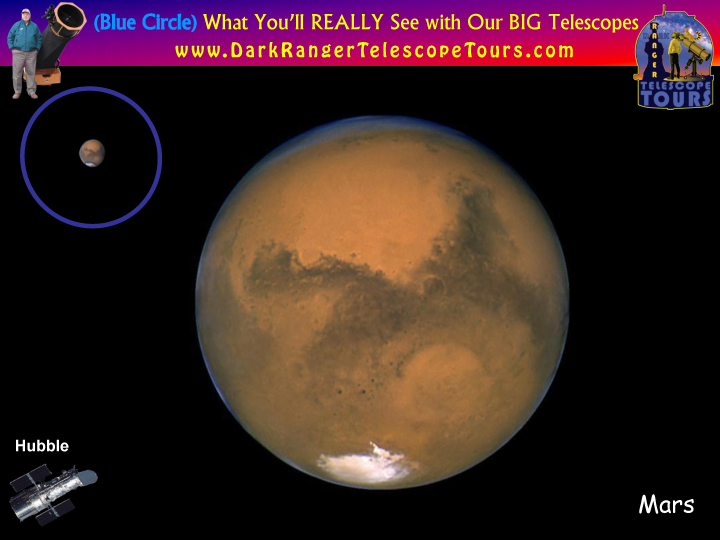 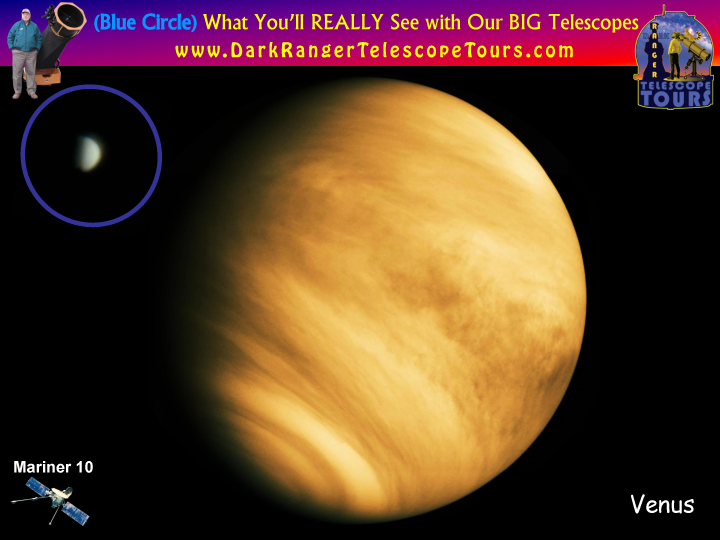 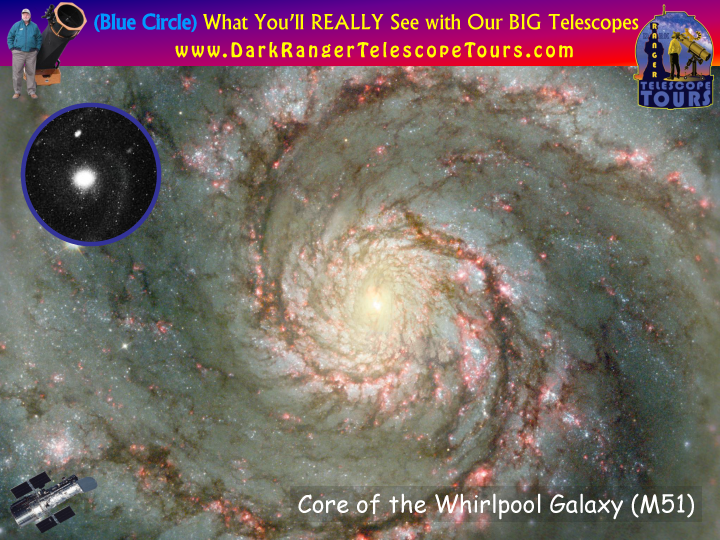 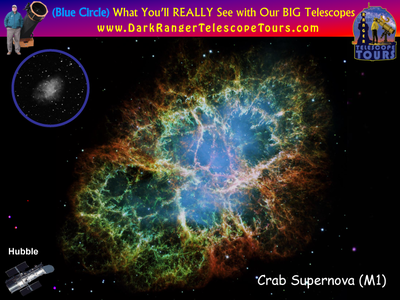 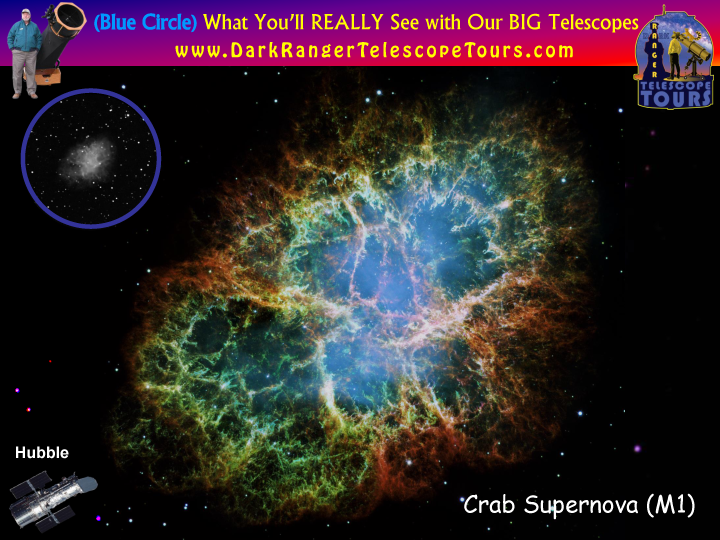 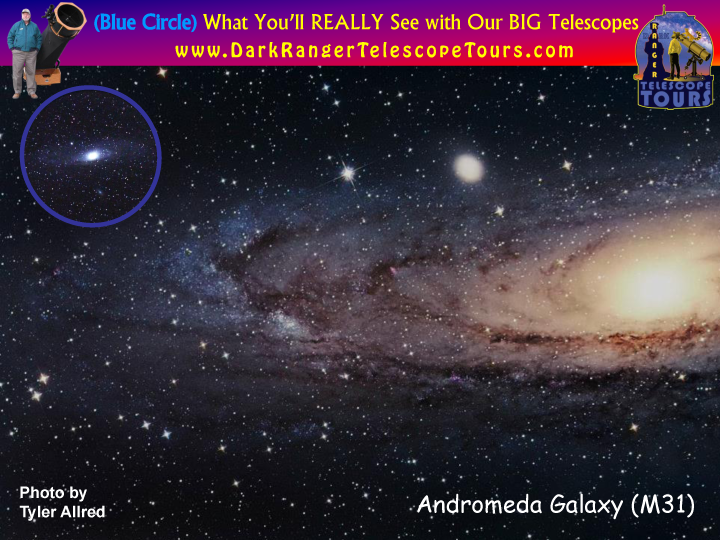 If you haven't already booked your telescope tour you will after watching the video at the bottom of the page.